We install our Performance Glass Conservatory Roof across Dunfermline, Edinburgh, Stirling, Perth, Dundee, Fife, Glasgow, Rosyth and surrounding areas. As the ultimate solution for bringing a bright and spacious feel to your home, our Performance Glass Conservatory Roof allows you to enjoy the ultimate in views, natural light allowance and comfort. This really is the ideal way to enjoy a much-loved look, brought into the modern day. This roof is the first roofing system to achieved certification from BBA, utilising a design that has been refined and evolved over the past 35 years. You’ll be able to enjoy all the best of a tried and trusted design, bringing a worthwhile investment to your home. For your peace of mind, this roof can be enhanced further with toughened glass. This will work to increase the overall durability and security of your conservatory. We’ll manufacture this roof bespoke to you, ensuring you get the perfect fit every time. By investing in this roof design, you’ll be able to enjoy industry-leading standards of thermal efficiency, security, durability and performance. You’ll be able to use your living area all throughout the year, no matter what the weather brings. As the most thermally efficient conservatory roof system on the current market, the Performance Glass Conservatory Roof will work to keep you warm and comfortable even during the bitter winter months. Not only will this means that you’ll keep the winter winds at bay, it also means that you’ll be able to see a reduction in your heating costs across the year. 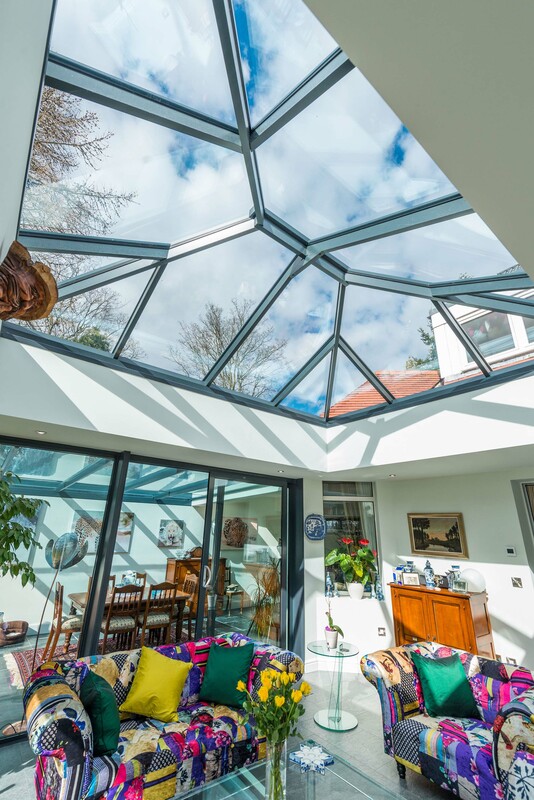 All of our glass conservatory roofs feature unique top caps and adjustable speedlocks to optimise glazing compression. This means that they can offer outstanding weather protection, and they have been tested in winds up to 130mph. They also feature a triple layer storm shield at radius end, to keep the weather protection completely consistent. To help you enjoy the highest quality in a personal way, our glass conservatory roofs meet the structural requirements of any large shape or complex design. This includes the integration of structural solutions which allow you to accommodate for large span bi-fold doors. This means you’ll be able to enjoy a beautiful addition in a beautiful way. All of our glass conservatory roofs are designed to reduce the overall hassle to your daily life, kitted out with features that allow for a fast fit. This also means that they avoid any drilling or cutting, which minimises the amount of mess that happens on site. We’ll be able to fit your home with an exceptional design, quicker and easier at every step. You’ll be able to bring a personal touch to your home with a range of upgrade features, including an insulated perimeter pelmet, as well as super insulated columns. If you’re looking for a different way to illuminate your home in the evening hours, you can also opt for a central lighting panel which can be fitted with a range of lighting options. We know that when you invest in something new for your home, you want it to offer lasting quality over the years. This is something you can be sure of with our glass conservatory roofs, which are accompanied with a comprehensive 10-year guarantee to cover you against any highly unlikely problems. There’s no reason to settle for less. Outdated or inferior glass conservatory roofs often caused your living space to be too hot in the summer to cold in the winter: often known as the ‘oven’ and ‘freezer’ effect. As our glass roofs feature trickle vents and innovative glazing, you’ll never have to worry about this factor. You’ll be able to use your new addition no matter the weather, making it a worthwhile investment for your home. All of our glass performance roofs are fitted with thermally-efficient top caps. This helps to complement the energy efficiency of your home, preventing heat from escaping out of your home. To ensure your peace of mind, they are also inherently high security, offering impressive resistance to removal to increase the structural strength of your roof. You’ll be able to completely relax in your new conservatory. A unique Speedlock system works to offer complete water tightness and quick installation. This feature allows for easy adjustment, which is ideal for accommodating any slight tolerances in pitch. This also ensures that every glazing bar fits as it should, so you won’t have to worry about any inconsistencies that could affect performance. Not only this, but it will help to ensure that the installation process goes as quickly as possible. 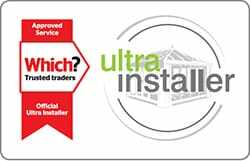 Our online quoting engine is the ideal way for you to get a free, competitive glass conservatory roof price. Alternatively, you can get in touch with us via our online contact form where a member of our team will be able to offer you a bespoke quote. Alternatively, you can get in touch with us through this form if you have any questions, or you can visit our Fife showroom to see this roof for yourself. We look forward to having you visit us to find the perfect product for your home.